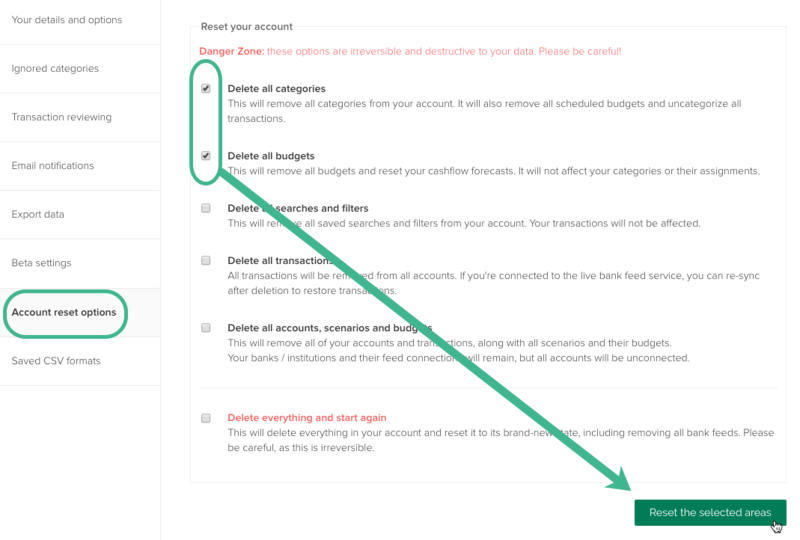 If you want to clear certain data from your PocketSmith account, you can do so from the Settings menu. You also have the option to clear your entire account and start again from scratch. 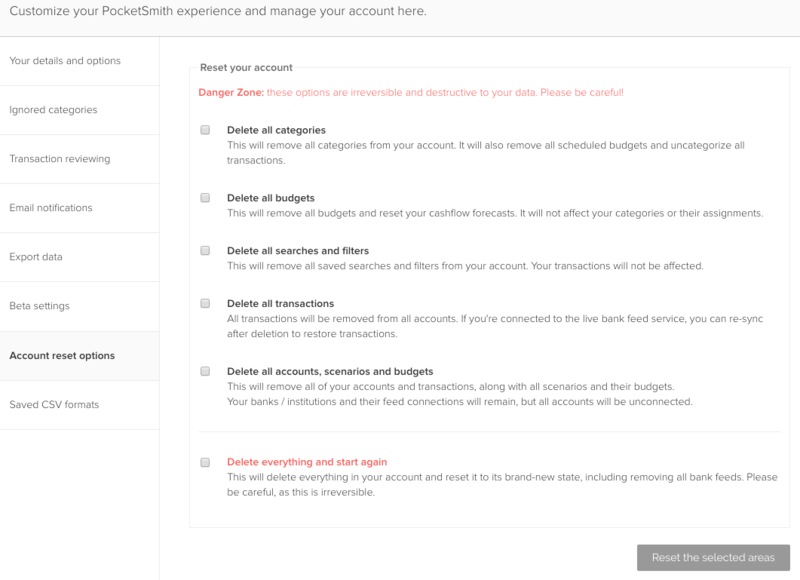 There are a few different reset options: you can delete certain attributes of your PocketSmith account, such as just removing categories and budgets; or you can reset your whole PocketSmith account entirely and start again from scratch. This will delete all of your budgets and remove your forecast and all budget events on the Calendar. It will not affect your categories. Please remember: all data that you delete will be permanently removed and cannot be retrieved. Consider these options carefully and proceed with caution!